Experience the vacation of your dreams by staying in this completely renovated 3 bedroom, 3 bath luxury Penthouse unit at Beach Colony! 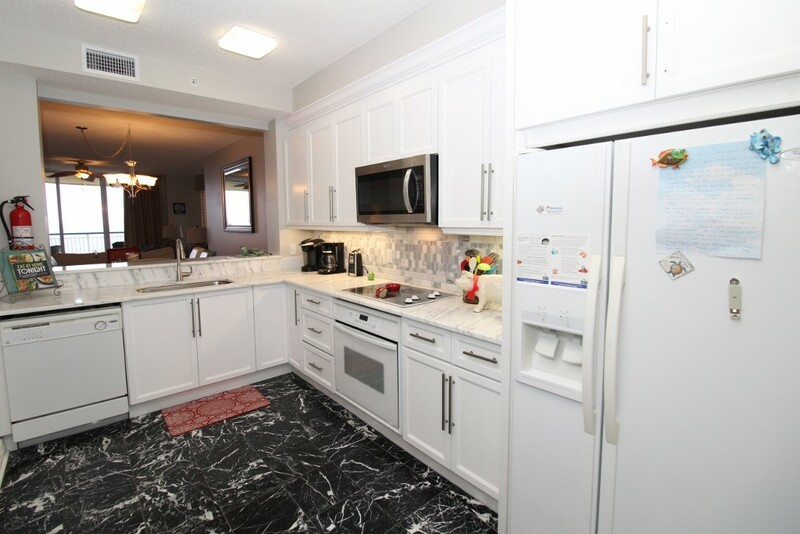 Everything in this stunning unit is brand new, from the furnishings to paint and even linens! 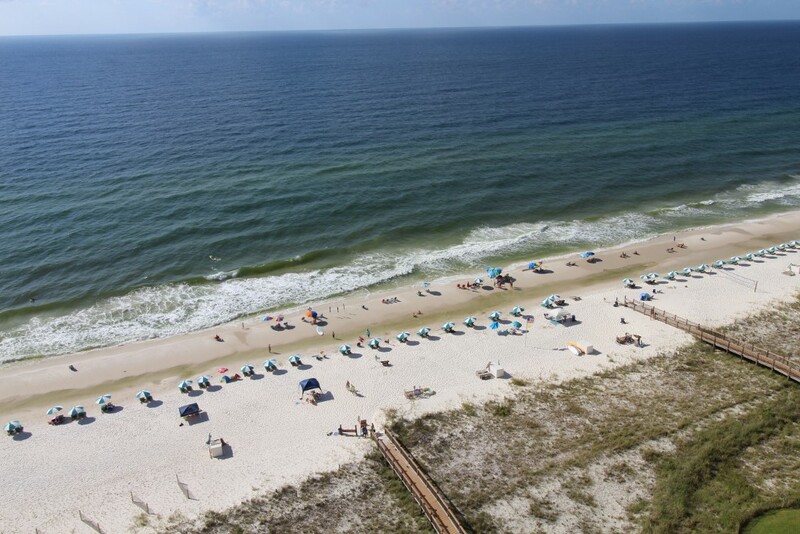 Situated on the quaint and picturesque East end of Perdido Key, this resort pairs recreation with relaxtion and offers every amenity imaginable, including 2 outdoor beacfront pools, an indoor heated pool with a jetted spa, tennis courts, a state of the art fitness center and a charcoal grilling area. 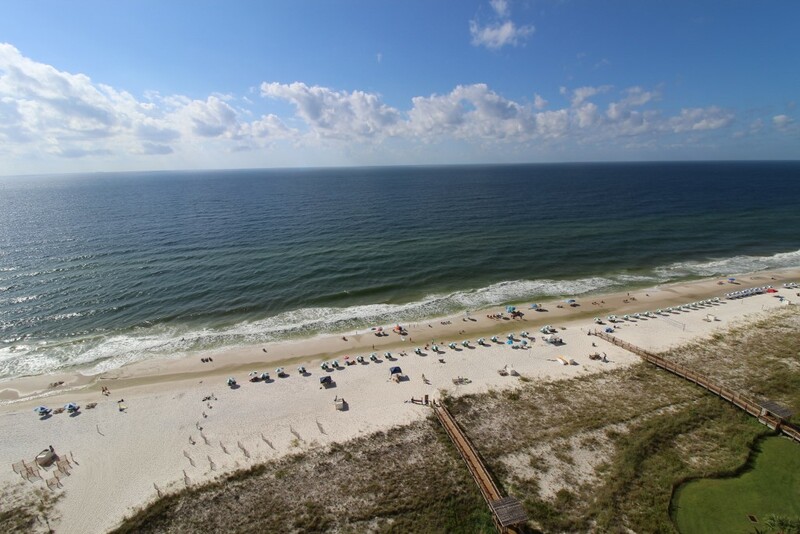 The sugar-white sand and emerald waters of Perdido Key's beaches are simply breathtaking, and create the perfect setting for an unforgettable beach vacation! This stunning 15th floor 2 bedroom unit features a sophisticated décor and luxury upgrades such as high-end furnishings, updated electronics, quality linens, and not to mention the most amazing views of the beloved Gulf Coast! 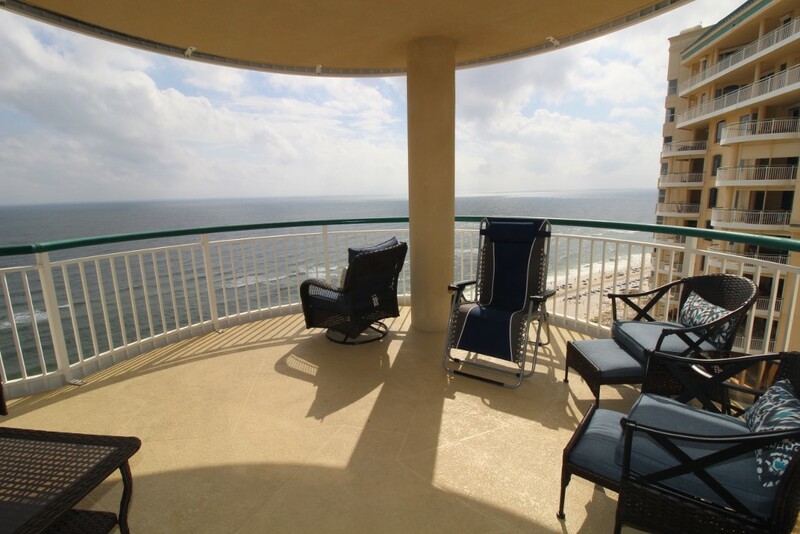 The living area boasts chic furnishings and floor to ceiling sliding doors that lead to a spacious gulf front balcony! Enjoy your morning coffee or after-dinner cocktail on the oversized 300 square foot beachfront terrace, which offers plenty of seating. The master suite is elegantly appointed, hosting a king-size premium bed with deluxe linens and beachfront balcony access! 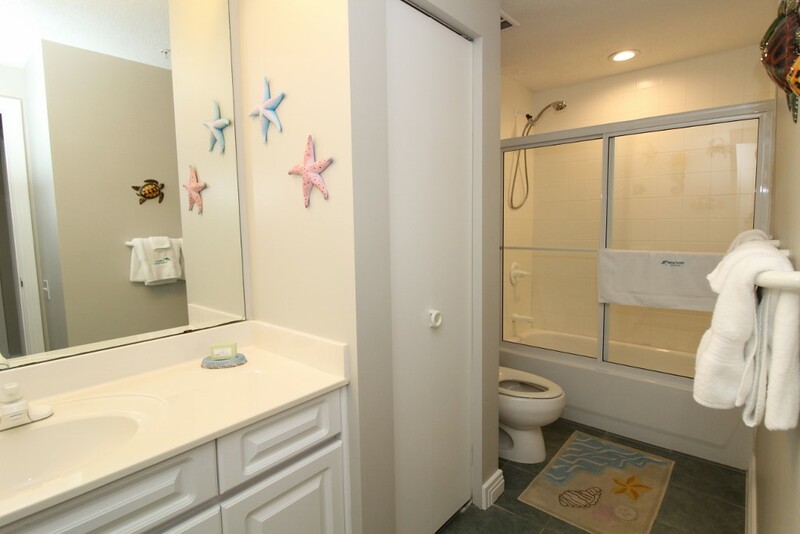 The attached master bath is equally impressive, featuring a jetted garden tub, a separate walk-in shower, his-and-her vanities and gulf views. The second bedroom offers an ultra-comfortable queen and full size beds with attached bath. The living room sofa converts into a queen sleeper, accommodating up to 8 comfortably! 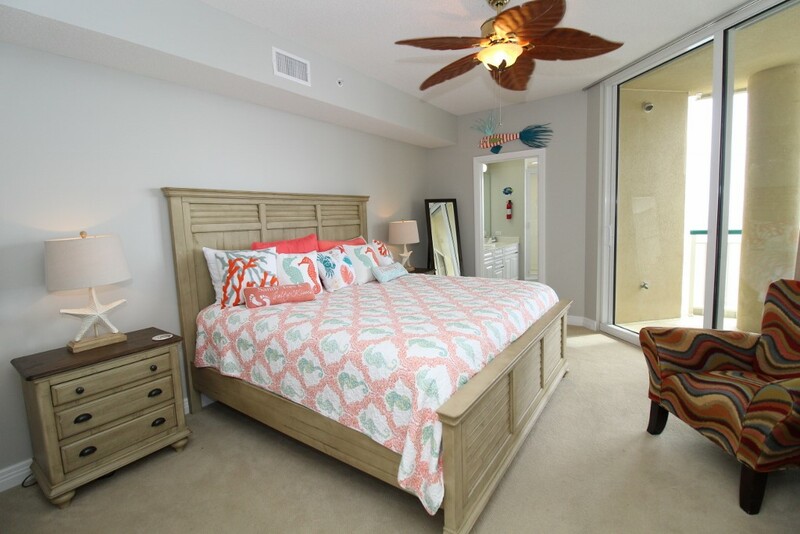 Your dream vacation will become a reality when you stay in this stunning 2 bedroom 2 bath unit in the Beach Colony Resort's desirable East Tower! Situated on the quaint and picturesque East end of Perdido Key, this resort pairs recreation with relaxation and offers every amenity imaginable, including 2 outdoor beachfront pools, an indoor heated pool with a jetted spa, tennis courts, a state of the art fitness center and a charcoal grilling area. 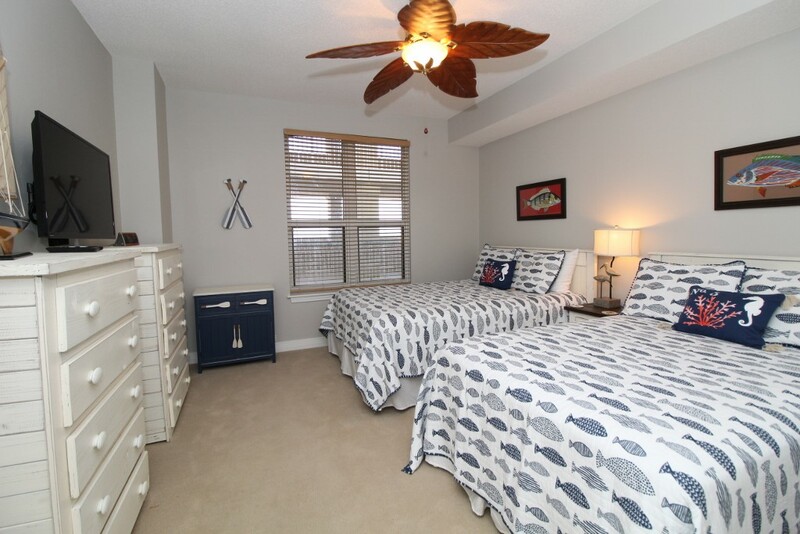 You will also enjoy the services of a local liaison that will see to your every need throughout your stay with the premier rental company in Perdido Key, offering you luxury extras like fine linens, oversize monogrammed bath towels, and deluxe bath amenities. 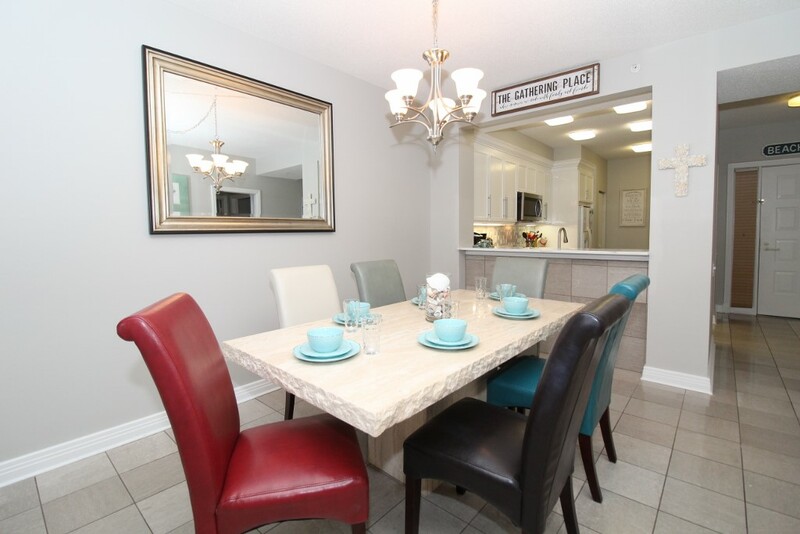 24 hour local support is provided to make sure your stay is absolutely perfect and stress-free! Turn your dream vacation into a reality and book today. This property was gorgeous! Each room had its own bathroom and own privacy. We were provided with everything we needed for our stay. The staff at Luxury Coastal Vacation were great to work with, they answered any questions promptly and provided with list of restaurants and activities in the area. Check in was easy and it's in a quiet family oriented area. Would definitely stay here again, the views were fantastic from the large terrace and master bathroom.